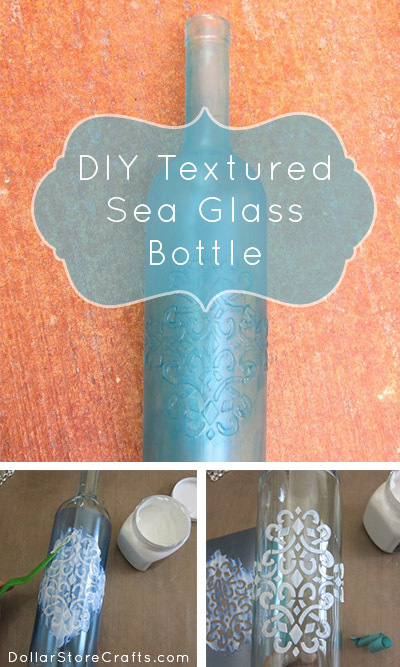 Sea glass is still so popular, and it’s a beautiful way to decorate your home in the summer. 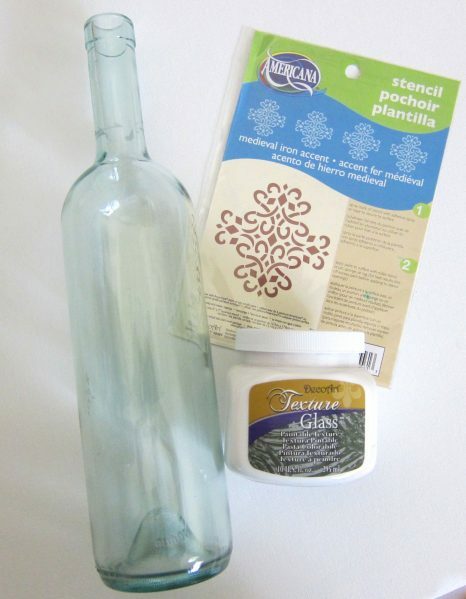 Rather than buying new decorative accents, you can make your own using a few simple items plus recyclables. Don’t worry if you don’t feel like you’re very artistic! 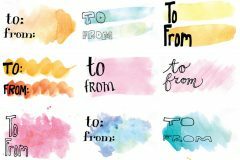 Stencils make it easy for all of us to create beautiful, professional looking home decor projects. 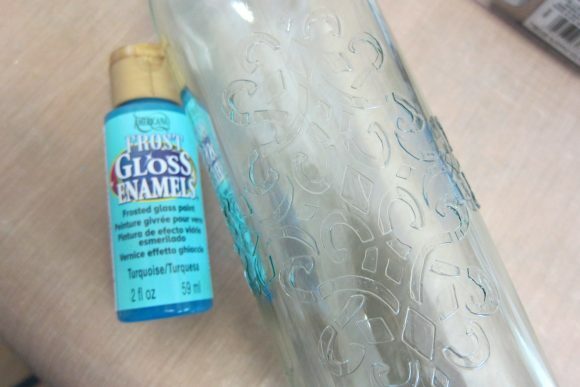 I used a clear glass bottle from my recycling bin plus a few DecoArt products to create this beautiful faux sea glass bottle. 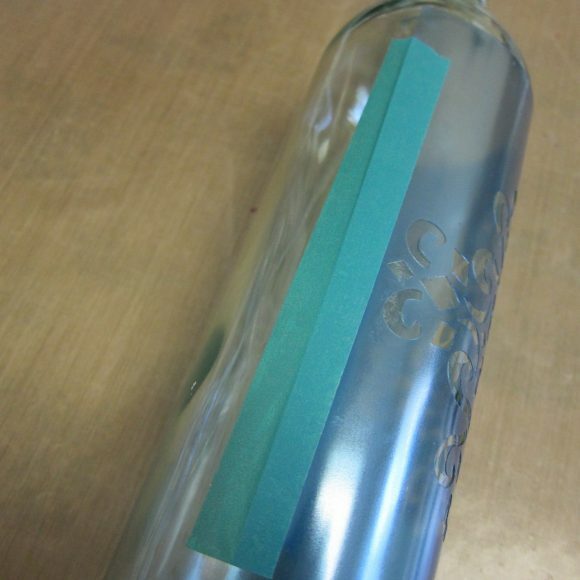 Step one: Tape the stencil to the cleaned bottle. 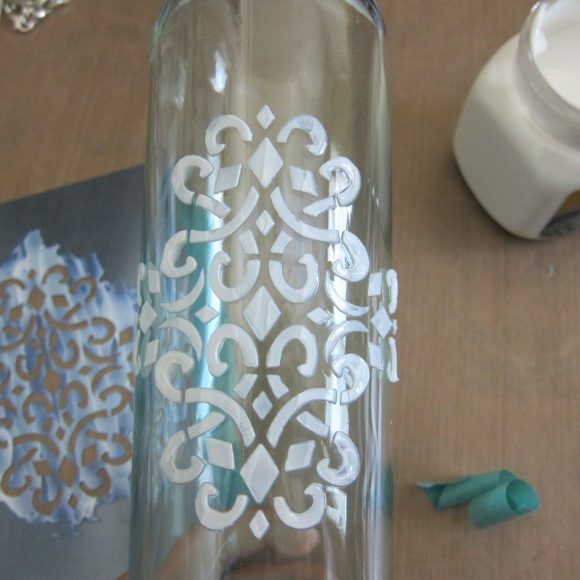 Spread the Texture Glass onto the stencil, then remove the stencil. Let it dry. The paste is easy to work with since it goes on white but dries clear, so you can see exactly where you’ve applied it before it dries. 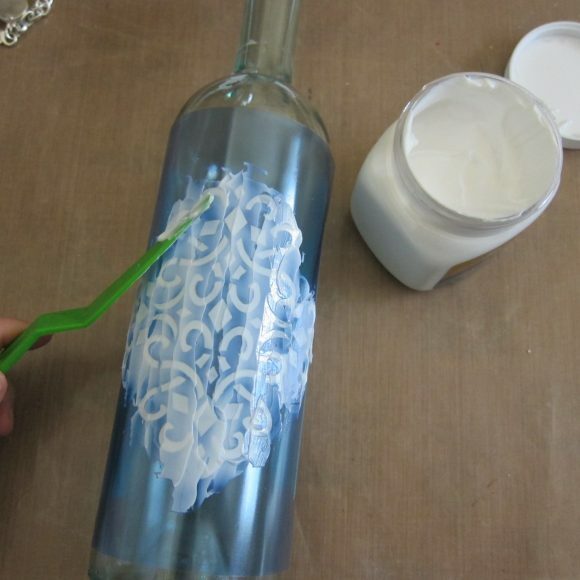 Step two: Use glass paint to cover the entire surface of the bottle. I used a turquoise color, but you could use green for a different look. 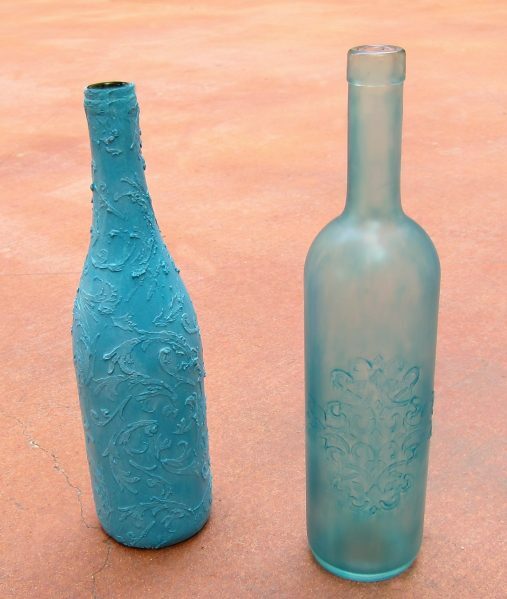 There are lots of glass paint colors available, so even if you don’t like sea glass you could paint your bottle any color to match your decor. 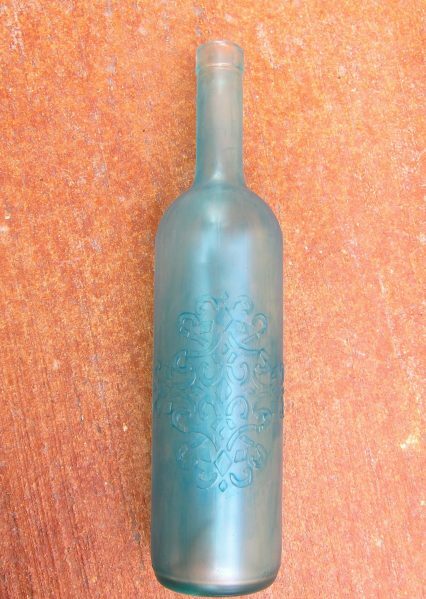 I’ve decorated my home in turquoise and lime green, so I paired this sea glass blue bottle with this faux ceramic bottle that I also made from recyclables. You can find that tutorial here. 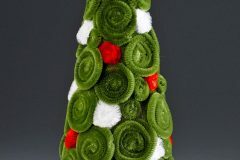 I love that I can turn my trash into something beautiful and useful! 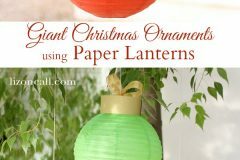 You could make several of these to use as pretty outdoor table decor, too. I think they’d make fun patio centerpieces if you put a few flowers in them and use them as a vase. 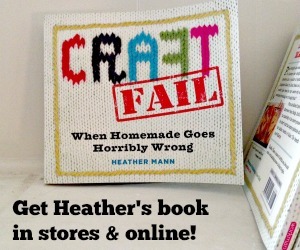 Have fun crafting and creating. Fabulous! 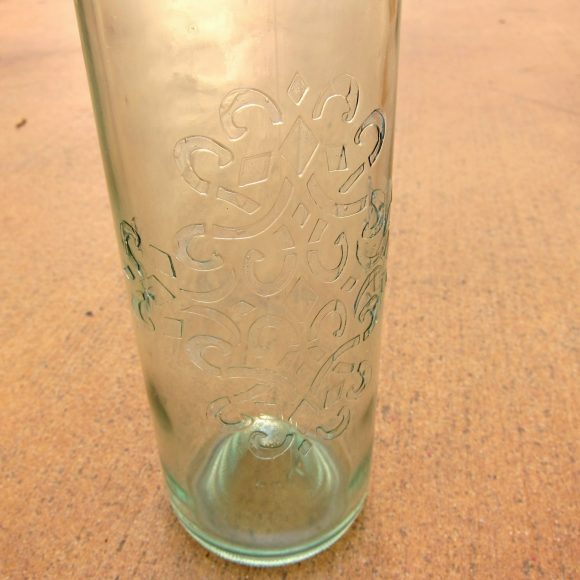 These would make awesome gifts or would be beautiful as wedding centerpieces. 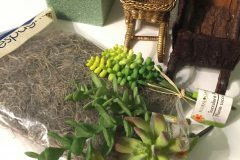 Pinning this – thanks for the inspiration!